There’s nothing like a good loaf of bread. And when that certain loaf contains chocolate, well, it’s truly inimitable. Upon reading Serious Eats’ review of Zucker Bakery‘s chocolate babka, I knew I had to make my way down to the diminutive bakery in the East Village. 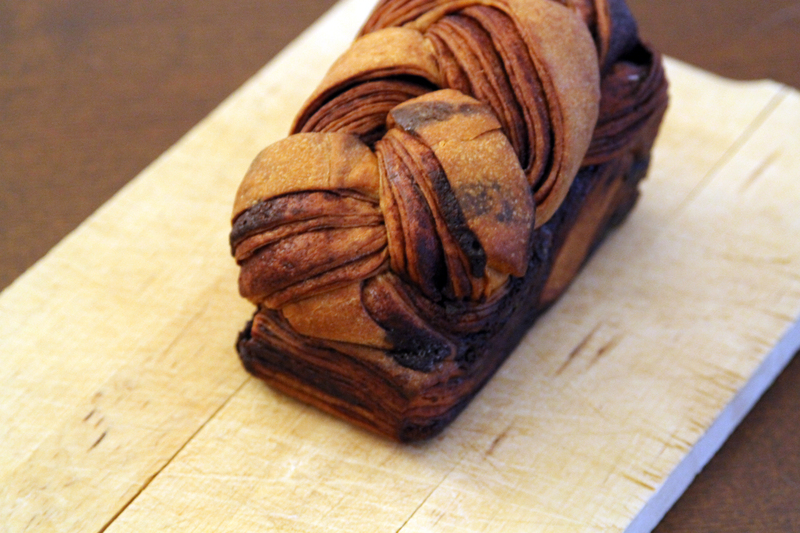 To answer the question about whether this is the most beautiful babka in New York City, it is. There’s no denying that. Just look at it! With chocolate elegantly woven through thick belts of sweet dough, this chocolate babka is a thing of beauty. No, it’s more like a baked masterpiece. Though it’s tiny–reflecting the size of the bakery itself–Zucker Bakery’s chocolate babka is outsized in flavor (and in cost, at a surprising $13.50). I was struck by how mild the sweetness is. It tastes more yeasty, like bread, but with fine chocolate in every bite. 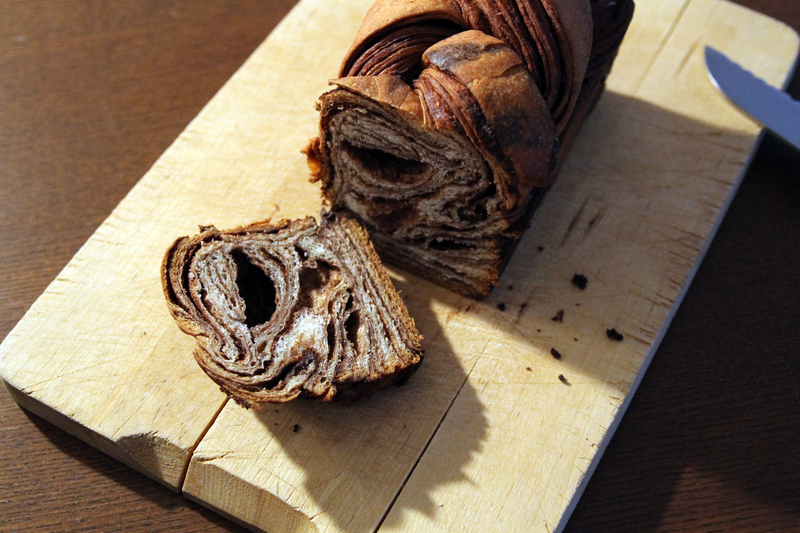 The babka boasts a moderately moist texture: not too dry and just dense enough. To me, the chocolate babka is more like an anytime bread than a dessert. You may feel differently. It’s definitely a nice treat to present at any dinner you’re invited to. Knowing how good this babka is, I wouldn’t be surprised if your host surreptitiously stashed it away for a nighttime snack, rather than putting it out for his guests to sample. When I visited Zucker Bakery this morning, I inquired about the chocolate babka, and the cashier handed me the last remaining loaf. This was at 10:45 a.m. on a Saturday. So, as a cautionary tale, if you’d like to try this babka, you better get to Zucker Bakery quick and early. Word is spreading fast about the wonder that comes out of their ovens. Take the L to First Avenue and walk south to 9th Street. Turn left onto 9th and walk toward Avenue A. Zucker Bakery is tucked away on the north side of the street.